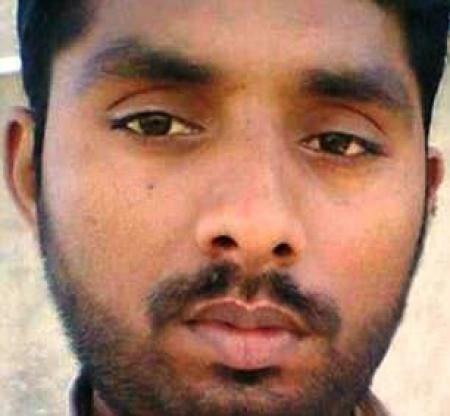 A Pakistani man has been sentenced to death for making a derogatory remark about the Prophet Mohammad in a Facebook post. A counter-terrorism court has sentenced Taimoor Raza, 30, to be executed after finding him guilty of committing blasphemy online. It is the first time anybody has been handed the death penalty for blaspheming on social media and follows a high-profile crackdown by the government of Prime Minister Nawaz Sharif. Blasphemy is a highly sensitive topic in Muslim-majority Pakistan, where insulting the Prophet Mohammad is a capital crime for which dozens are sitting on death row. Under Pakistan’s harsh laws, anyone accused of insulting God, Islam or other religious personalities can be sentenced to death. Shafiq Qureshi, public prosecutor in Bahawalpur, about 300 miles (500km) south of provincial capital Lahore, said Raza was convicted for allegedly making derogatory remarks against Prophet Mohammad, his wives and companions.